Very recently, Kandi has been banned from all PNE events. However, there is much concern to this due to the fact that Kandi plays an important role to many people who attend these events, especially the rave community. Kandi is all about "PLUR", which symbolizes Peace, Love, Unity, and respect. People spend hours making these bracelets, only to exchange them with someone else in a sign of friendship. 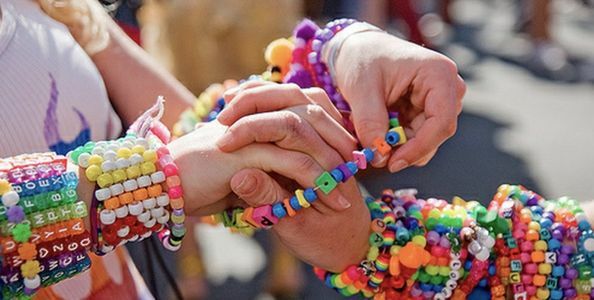 Banning Kandi from all PNE events attacks a specific culture and tradition. As a compromise, instead of banning an innocent bracelet, increase security, and do more thorough checks. Eliminating Kandi will not solve any problems, but will only result in making them worse. If these needs can't be met, many people will no longer be attending any PNE event. Hey everyone! With everyones support, Kandi is no longer going to be prohibited at the PNE!!! This was only made possible because of everyone who came together around the world to support this. Myself, along with so many others are internally greatful.